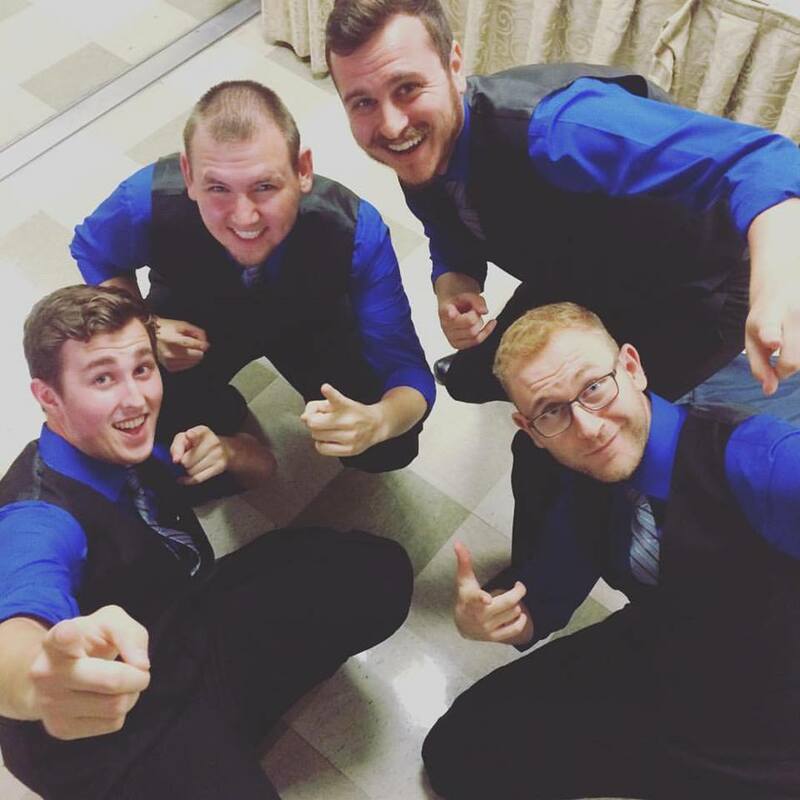 Vocal Revolution wins "Sing That Thing"
Emerging from a field of 24 choruses from across New England, the Concord, Mass. 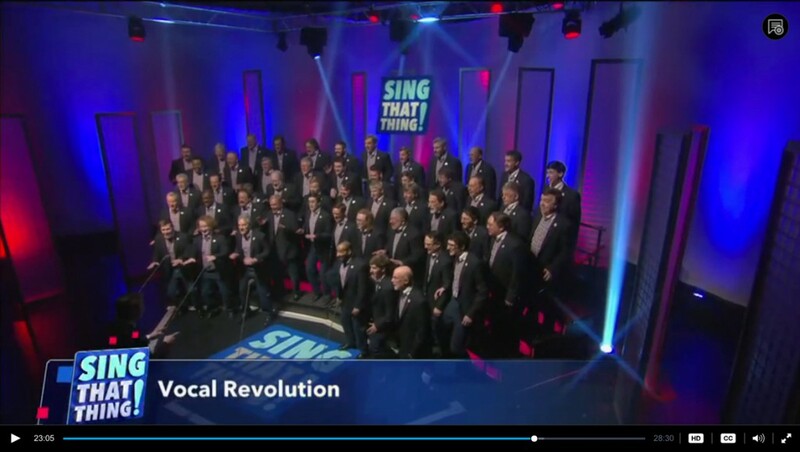 Vocal Revolution Chorus was crowned champion of Season 2 of WGBH-TV's Sing That Thing competition. This whole process was so exciting... it was a true bonding experience for us. There were some spectacular performances by the other ensembles, especially the other two finalists. Goodness. Our Director, Dan Costello, brought all the pieces together with a determination that might be characterized as "manic." That said, his intent was to be sure we put on the best performances we could. The 2-Song Challenge for the semi-final round was truly exciting. We recorded the qualifying round on January 14th. We found out the next day that we were moving on to the semi-final round which was recorded on February 24th. In that 40 days... Eric Ruthenberg developed a masterful "mash-up" of the two songs, our Performance Coach, Diane Coates, put together a diverse visual plan, Krys Petrie (our Tenor Section Leader) made learning tracks of the piece, and all the chorus members learned their parts before bringing it all together on February 4th, the first of 3 rehearsals before the semi-final recording. Dan was truly spectacular in his leadership. As witnessed, the rewards were evident... this experience showed the true mettle of VOCAL REVOLUTION. What fun! All this in the dead of winter. Going forward, as Sing That Thing! winners, we will be asked by WGBH to perform at a couple of their events in the next year, as well as returning to perform as outgoing winners next season. You can watch all episodes online at singthatthing.wgbh.org/episodes/ -- with special attention to Vocal Revolution's appearances in episodes 5, 7, and 8.